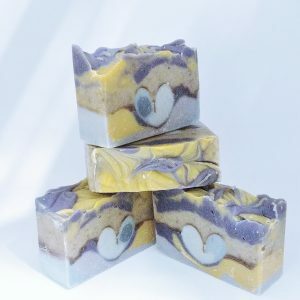 For this soap formulation, I used sustainably harvested herbs and infused them into both the water and olive oil for maximum strength to preventing poison ivy and oak oils from binding with your skin. There are several factors that make this very effective. 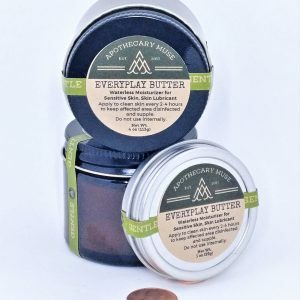 It is most effective when used prior to exposure, to prevent poison ivy oils from binding with the skin, but can also be helpful in removing the stubborn urushiol if used within a short time after exposure and washed vigorously. The ground walnut shells help a lot here! 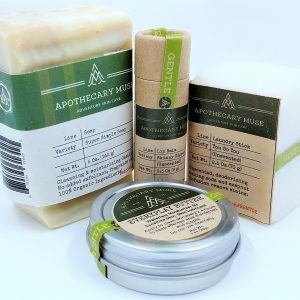 Using essential oils the soap helps to repel bugs without DEET, remove poison ivy oils (and stubborn bike grease), protect and soothe sensitive skin. A bit of ground walnut shells help exfoliate the skin while oats help balance moisture and improve skin elasticity. Lathery and scrubby! These large bars will last a long time, giving you some ongoing protection if you spent a lot of time outside. 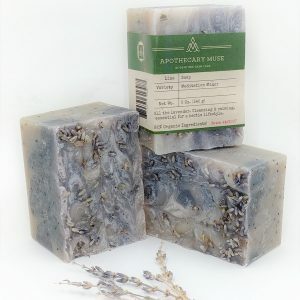 To pre-treat before exposure, wash arms and legs with woodsy warrior soap, lathering and rinsing as usual. After exposure (the sooner the better), apply water – lathering directly wherever you’ve been exposed – and rinse after 2-3 minutes. The walnut shells will break up the oil while the saponified oils bind with the urushiol and rinse away. Oatmeal also helps to soothe the skin, preventing inflammation and moisture loss. Bars approximately weigh 5 oz, measure 3 x 2 x 1.5″ and are wrapped in plantable paper, embedded with wildflower seeds. Olea Europaea (Olive*) Fruit Oil, Cocos Nucifera (Coconut*) Oil, Aqua (Distilled Water), Sodium Hydroxide (Lye), Ricinus Communis Seed (Castor) Oil, Avena Sativa (Oat*) Kernel Meal, Juglans Regia (Walnut) Shell Powder, Eucalyptus Citriodora (Lemon Eucalyptus) Oil, Cymbopogon Schoenanthus (Lemongrass) Oil, Juniperus Virginiana (Cedarwood) Bark Oil, Cymbopogon Winterianus (Citronella) Oil, Cinnamomum Cassia (Cinnamon) Bark Oil, Pelargonium Graveolens (Geranium) Oil, Pinus Sylvestris (Pine) Leaf Oil, Pogostemon Cablin (Patchouli) Oil, Pinus Sylvestrus (Pine) Oil, Plantago Majoris (Plantain*) Leaf Extract.